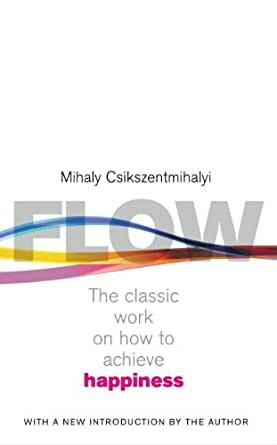 The book, as the name suggests, is about Flow - the concept of optimal experience postulated by the author in the course of his career in the area of human psychology. The book starts with a discussion about happiness and consciousness which lays the foundation for the ensuing discussion on Enjoyment and Flow. After which it moves onto discussing the impact and application of flow in daily lives of different people, and, how you can achieve flow (and happiness) yourself. This book is written for lay beings and the author has made sure that it is written in colloquial English. The plethora of actual cases discussed in the text keep the book engaging (and add credibility - the book is based on actual research work, not random opinions). Though there are parts where you might feel that the book could be a bit 'crisper'. The content is relevant for all human beings. If being happy in life is one of your goals, this book should be in your must read list.